If you’re looking to boost your nutrition and see better results, one food that you’ll definitely want to include on your menu is wheat germ. Many people have either never heard of wheat germ or simply don’t know how to include it in their diet plan but it’s one of those foods that can be a great addition to some of your favorite recipes. Most people will not consume wheat germ alone, rather, add it into dishes they are already preparing. As you are about to see, wheat germ offers a wide array of benefits despite the fact that it’s derived from ‘wheat’. 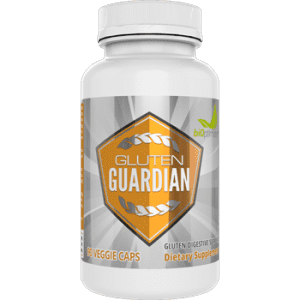 Those who are really on the gluten-free bandwagon may banish wheat germ from their menu as well but in doing so, they are missing out on truly great benefits. 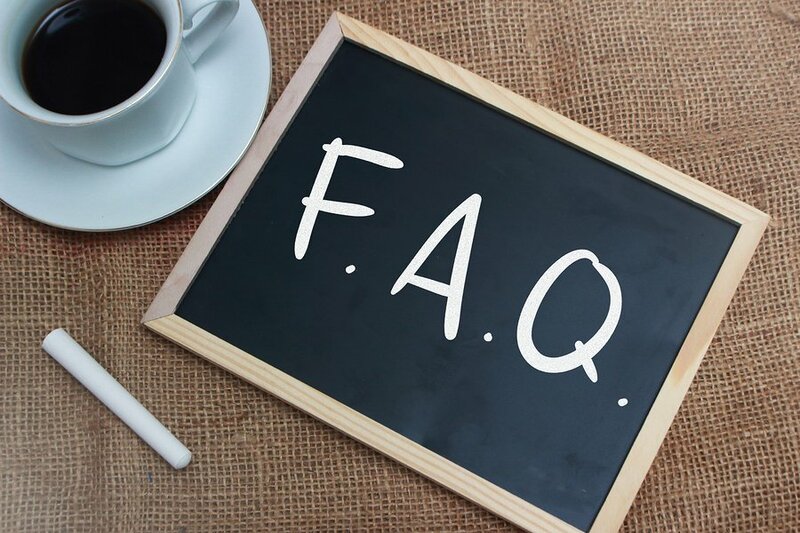 If you are someone who suffers from Crohn’s disease and physically cannot have any gluten whatsoever, then for sure, don’t include wheat germ in your diet plan. But if you just think that you are gluten intolerant and are trying to cut back on the gluten you eat, you may want to reconsider this one food. Often the benefits outweigh the drawbacks. So let’s walk you through the key benefits of having wheat germ in your diet and some simple suggestions on how you can begin using it right away. The first reason to consider including wheat germ in your diet plan is that this one food is loaded with antioxidants. When we think antioxidants, typically we think about fresh fruits and vegetables. And while those are the primary foods in our diet that do contain antioxidants, they are by far not the only food source for these nutrients. Antioxidants help to neutralize free radicals that attack our body from the environment that we live in. You can be exposed to free radicals from a variety of different sources. They can come from pollution in the environment, bad food choices you are eating, too much stress and anxiety in your life, as well as toxic substances that you may be putting into your body (such as alcohol, for instance). All of these free radicals will serve to age you, making you feel and appear older than you really are. The best way to defend against them is to ensure that you have stand-up antioxidant support. This way, you won’t have to deal with these unwanted side effects. Research has even shown that those who get in higher levels of antioxidants in their body are also less likely to suffer from conditions such as cancer, diabetes, and heart disease1. While this definitely doesn’t mean you can just eat a little bit of wheat germ and avoid having to eat vegetables, it’s just another source of good nutrition to include in your diet plan. If you suffer from periods of irregularity, this is another thing that having wheat germ in your life can really assist with. Keeping yourself regular is vital to keeping your body feeling well. If you’ve ever been backed up before, you know just how quickly this can make you not want too much of anything. You’re less active, less energetic, and you just want to finally be able to use the bathroom like normal. Wheat germ can be a solution. Because this is such a high fiber food, including it daily in your diet can have laxative benefits. 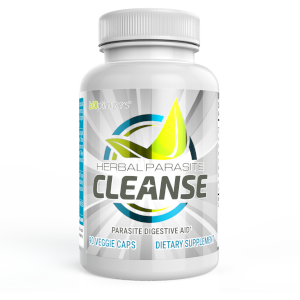 While it’s not considered a true laxative to the point where if you take it, you will go, using it on a regular basis will boost your fiber intake up considerably and that is one of the biggest determinants dictating how regular you are. Per one tablespoon of wheat germ, you’ll take in approximately 26 calories, 3.7 grams of carbohydrates and 0.9 grams of dietary fiber. So add a few tablespoons to your day and you can quickly get your numbers up there. The nice thing about wheat germ is that it contains both soluble as well as insoluble fiber, both of which will help keep you more regular. One of the top goals you should have with your nutrition program is keeping your blood glucose levels as stable as possible. We see rates of diabetes dramatically increasing in today’s world and this is due in large to the diets that we are eating. We’re relying on large amounts of processed foods – simple sugars and overly processed grains. This all translates to blood sugar highs and crashes, which put us on a one-way street to diabetes. The rates of Type 2 Diabetes are steadily increasing in the country and if we don’t begin making some wise changes to our diet plan, it’ll only be a matter of time before we too are suffering. You might think you are safe because you aren’t very overweight and you are relatively active but if you keep eating a diet that’s not delivering your body the nutrition you need, you might be surprised the path you are headed. When you eat dietary fiber, it essentially slows down the absorption of sugar in the bloodstream and this helps to promote a more steady release so that you don’t get that high and crash feeling you would otherwise experience. While insoluble fiber is the most important type of fiber for keeping you regular, soluble fiber, on the other hand, is the type of fiber that is best suited to stabilizing your blood glucose levels2. If you are going to eat some simple carbs in a meal, making sure to pair it with some carbs that are rich in dietary fiber can help you overcome the blood glucose spike that you would have otherwise experience. Along with preventing diabetes, another thing that adding soluble fiber to your diet can assist with is decreasing your overall cholesterol levels. High cholesterol and heart disease tend to go hand in hand, so if this is a condition you are concerned about, getting enough dietary fiber is a top priority. 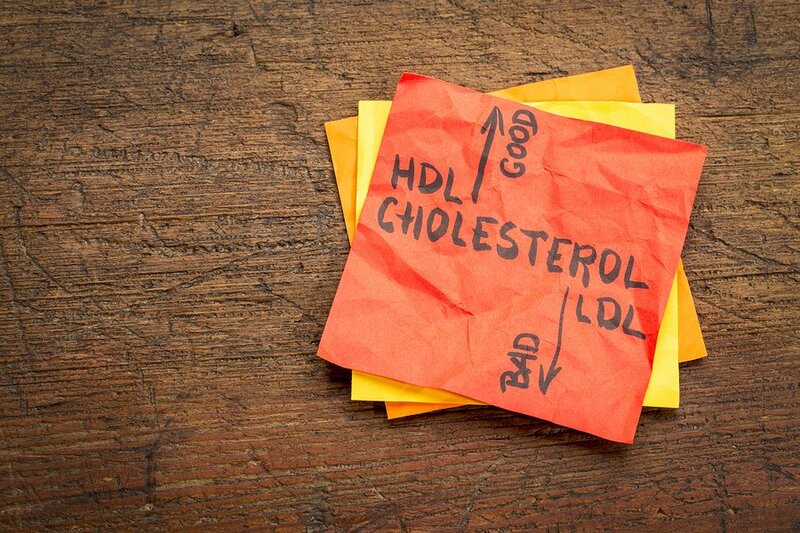 In the past, we viewed high cholesterol as simply an issue of eating too much saturated fat in the diet. But now we are seeing that high cholesterol can be primarily caused by eating too many refined sugars and processed carbs as well3. So even if you are eating a nearly fat-free diet, you may very well still experience higher than normal levels of cholesterol. In fact, a fat-free diet may be even worse when it comes to leading you down the path to heart disease. When we look at the research, we see that there is very clear evidence that states the more whole grains we take in on a regular basis, the lower the risk factor is of heart disease and stroke4. There is nothing more whole grain than wheat germ, so this is basically going to the source. 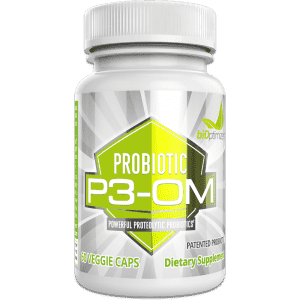 If you want to get extra protection against heart disease and improve cholesterol levels a step further, consider adding some quality probiotics such as P3-OM to your diet in addition to wheat germ. Then the two will work together to help get your numbers to the most appropriate levels, ensuring that you are not putting yourself at an increased risk of suffering from heart disease. If losing weight is something that’s on your agenda, eating more high fiber foods is definitely going to help. The more fiber you take in with your diet plan, generally speaking, the less hunger you will feel, thus making it easier to maintain the reduced calorie intake necessary for weight loss. High fiber meals stick with you longer, which can stop you from eating those snacks you really don’t need. Additionally, fiber is also a fantastic way to help stabilize blood glucose, as noted above, which then helps keep insulin levels better regulated. 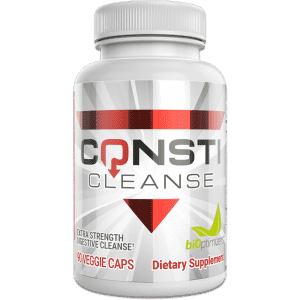 Since high insulin levels is a driving force behind increasing the degree of fat storage taking place, you’ll want to do everything possible to help better control insulin levels. As soon as insulin levels are increased in the body, that is going to immediately put the breaks on any fat burning taking place. Which will make it nearly impossible to continue to see results. These together, when eaten in one meal, will go a very long way towards helping you control your hunger and insulin levels. While we can’t go so far as saying that eating wheat germ will stop cancer in its tracks, we are seeing positive research that is showing that wheat germ may help to induce cell death and stop the spreading of cancer cells in the body. Research published in the Experimental Biology and Medicine Journal5 has noted that certain enzymes that are found in wheat germ may help to combat the growth of new cancer cells, thus providing a hopeful alternative to other cancer treatment methods. 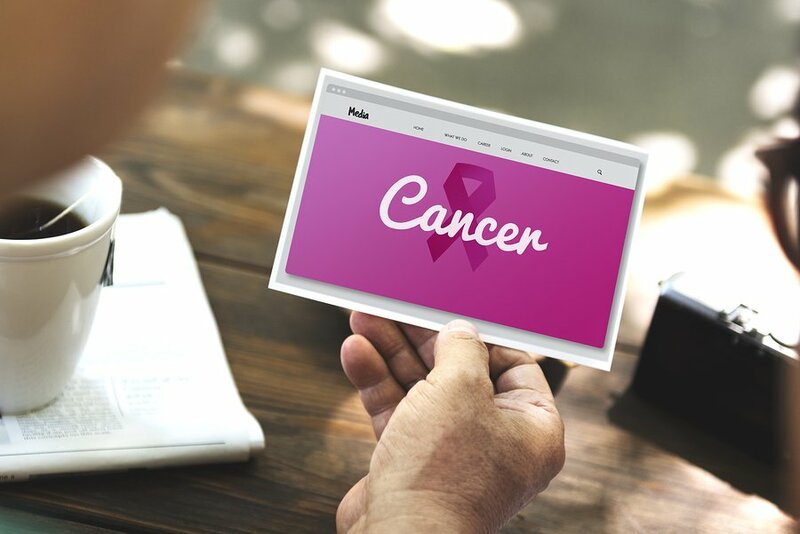 This research is still very new and greatly in progression right now, but it does provide us hope of natural ways we can help combat this devastating condition. Another benefit of wheat germ is that it will nourish your body with many vitamins and minerals. It’s not just a source of dietary fiber, but also a source of great nutrition as well. Some of the key benefits you’ll get from wheat germ include over 185% of your total daily intake of manganese, 35% of your daily intake of thiamine, 32% of your daily intake of selenium, 24% of your daily intake of phosphorus, 23% of your daily intake of zinc, 20% of your daily intake of folate, 18% of your daily intake of vitamin B6, along with other major minerals including magnesium, copper, niacin, iron, riboflavin, potassium, and pantothenic acid. This food is really a nutrient powerhouse that will help you harness better nutrition while providing long-lasting energy to the body. So many people get all wrapped up in managing their calorie intake and macronutrients that they forget that their micronutrients also play a key role in how they feel and function overall. Now one question you may have right now is what about wheat germ oil? You may have heard of that before and wonder if you can see many of the same benefits here as you do there. Wheat germ oil does bring many benefits, however, it will be lacking in the dietary fiber that comes from wheat germ itself. With wheat germ oil, you are getting the fat that is extracted from the wheat germ and this fat is very high in vitamin E content. As vitamin E is a primary antioxidant in the body, this is a great source of nutrition and can also go a long way towards reducing inflammation and supporting a stronger immune system as well. So while wheat germ oil is certainly healthy, it’s not a substitute for wheat germ itself if you want to reap maximum benefits. So there you have the need to know information about wheat germ and why you should include it in your diet plan. It’s easier than you think to use. Try adding it to smoothies, to your baking (it works great in muffins, squares, or bars) or even stir some into oatmeal or yogurt as you prepare it. There are many ways to use wheat germ if you just start looking for them. Wheat germ itself offers a slightly nutty flavor so most people will enjoy it and it goes well with many main course dishes. Even adding a tablespoon or so to your meal will provide health benefits, so don’t think that you need to be serving up very large amounts of it. 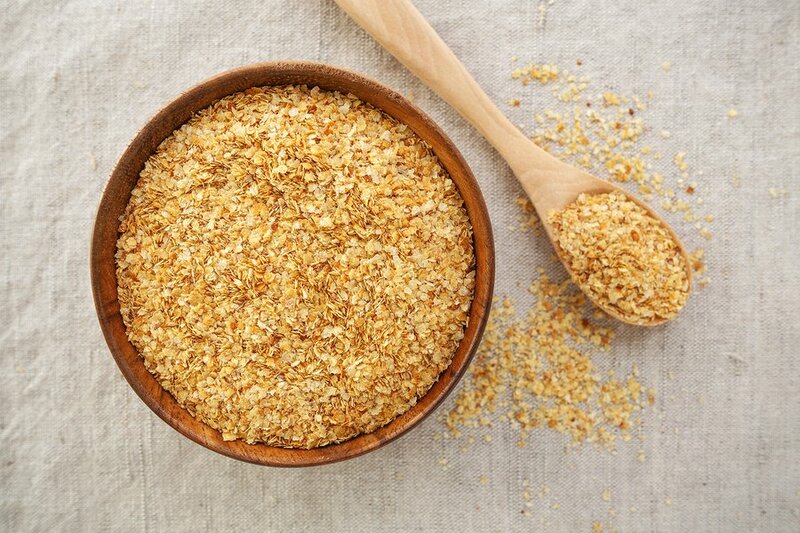 What are the benefits of eating wheat germ? The benefits range from stabilized blood glucose levels to a reduced risk of heart disease to increased weight control. Wheat germ is very high in fiber and antioxidants so you will experience a range of benefits that come from eating this in your diet plan. Wheat germ is used to help improve regularity in your diet plan by bringing up the total dietary fiber content. It’s also a rich source of nutrition providing many important nutrients including vitamin E, folate, phosphorus, thiamin, zinc, magnesium, as well as essential fatty acids. It’s also a great source of dietary fiber. What’s better for you – wheat germ or flaxseeds? That is a great question and there’s no real answer here. Both are totally different things to add to your diet and deliver a different set of nutrients. Flaxseeds are very high in omega-3 fatty acids, which bring their own set of benefits. If you had to choose one, flaxseeds may be slightly more nutritious because of this addition but otherwise, they are both going to provide a wealth of nutrition. Does wheat germ help with constipation? Yes, any high fiber food is going to help with promoting regularity so wheat germ is added to this. 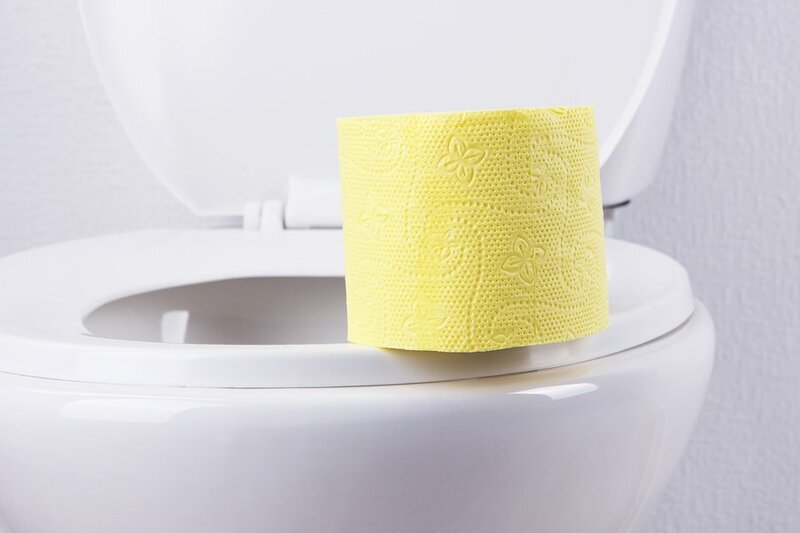 It’s not incredibly high in fiber – so high that it would be considered a laxative, but if you start eating it daily, you should see positive results in how regular you are going forward. Can I use wheat germ instead of flaxseeds when cooking? In most cases, yes, you can swap between these two. Just do keep in mind they do have slightly different tastes profiles, so it may change the overall flavor of whatever dish you happen to be preparing. Can I use wheat germ in place of flour? Not really. The two are going to have very different flavors and consistencies when cooking so it’s recommended that you don’t swap one out for the other. If you must, you’ll want to reduce the volume by 1/3 so if the recipe calls for one cup of flour, try a 1/3 cup of wheat germ instead. Jha, Prabhat, et al. “The antioxidant vitamins and cardiovascular disease: a critical review of epidemiologic and clinical trial data.” Annals of Internal Medicine 123.11 (1995): 860-872. Aller, Rocio, et al. “Effect of soluble fiber intake in lipid and glucose leves in healthy subjects: a randomized clinical trial.” Diabetes Research and Clinical Practice 65.1 (2004): 7-11. Fonnesbeck, Paul V., and Linda D. Symons. “Effect of diet on concentration of protein, urea nitrogen, sugar and cholesterol of blood plasma of horses.” Journal of animal science 28.2 (1969): 216-219. Aune, Dagfinn, et al. “Whole grain consumption and risk of cardiovascular disease, cancer, and all cause and cause specific mortality: systematic review and dose-response meta-analysis of prospective studies.” bmj 353 (2016): i2716.